The great majority, or perhaps all of you, reading this Antiaging Magazine take some nutritional supplements or other natural remedies. And it is very likely that you take these supplements at regular intervals, say once every day, or every 8 hours or whatever. This regularity in taking a certain supplement reflects the current, standard advice given by most medical practitioners and covers every prescription drug, supplement or natural remedy available. For many years, perhaps even centuries, there has been a propensity for physicians to advise their patients to take medication at regular intervals, at set times, and to follow cyclical patterns. But, complying with this advice may be unnatural and unhelpful to your body. It may even be counterproductive. Think about it. Many thousands of years ago, when our ancestors were living a life in the open wilderness, they used to eat whenever they were able to find food. They were not used to having a regular breakfast at 8 am, lunch at 1 pm and then a nice evening meal at 7 or 8 pm. No, they went out hunting for food, and if they happened to find anything in the morning, they would eat it for breakfast, if they didn’t find anything, they went without. They would, perhaps, kill an antelope later on in the day and spend their evening feasting to excess, making up for their earlier period of hunger. Their bodies were adapted to this irregular way of living, and developed mechanisms, over millions of years, to cope with lack of food, or with periods of excessive food availability. There is nothing regular about this. So when we have three regular meals a day, and by extension, when we also take our nutrient supplementation (obtained from natural plant or animal sources) at set intervals, we are doing it against our natural disposition, against what Mother Nature has equipped us to do. The concept of having irregular meals (and irregular supplementation) is not supported only by this ‘Mother Nature’ line of logic, but also by cutting-edge scientific developments. The theory of dynamical systems (also known as ‘chaos theory’) is a mathematical approach that aims to explain how nature works. It is a rather complicated and specialised subject, which basically boils down to the suggestion that it is more natural to be irregular than regular. Our bodies are designed to have redundancy, in other words to have a lot of back-up mechanisms. If one mechanism fails, if one enzyme or protein becomes deficient, then we have the ability to call upon a different mechanism or biochemical pathway which will achieve the same end result. These back-up mechanisms give us a degree of complexity, a kind of biological sophistication, which makes our interaction with external natural forces much easier. It has been argued that aging and chronic disease are accompanied by a loss of this biological sophistication. The aging process reflects the fact that our biological mechanisms become progressively simpler, monotonous, regular, and less complicated. Remember that regularity is really a very simple process, whereas irregularity involves many different interacting parameters. The ‘tic-tac’ of a clock is a regular and extremely simple process. By contrast, the irregular (non-monotonic) noise produced by an orchestra, is a complex and dynamic process. That’s exactly what happens to our body with aging. The biological processes of a healthy, active person are like an orchestra playing a complex musical piece. If something simple goes wrong, it will be probably lost in the overall noise and it will not be noticed. By contrast, the biological processes of an old, diseased and worn-out body are more like the simple, rhythmical ‘tic-tac’ of a clock, lacking any redundancy and liable to stop at any moment without any back-up reserves. If something simple goes wrong, it will be the end. So, if regularity and simplicity mean disease and aging, then irregularity and complexity must mean health and youthfulness. And that’s where the concept of having irregular supplementation comes in. Introducing an element of irregularity in your medication routine, helps counteract the simplicity brought in by aging, and increases the likelihood of a healthy later life. Whilst on this subject, it may also be a good idea to note that it is better to follow a lifestyle which is less regular, less predictable and less routine than you do now. Living a life along unusual, ever-changing and non-conventional lines helps stimulate your biological complexity, keeps your tissues ‘on their toes’ always trying to guess what your next move will be, and compensates for the loss of your biological reserves, improving your chances of healthy and successful aging. But let’s return to the supplement issue. These are general concepts which, clearly, cannot be applied to all individual cases. For example, certain hormones may be better taken rhythmically rather than irregularly. Melatonin taken for jet lag is a good example of this. Other examples include thyroid hormone and adrenal hormone replacements, which must be used in a regular fashion. The concept of irregular dosage is best suited to nutritional supplements, including vitamins, nutrient extracts, minerals, herbal remedies and the like. Prescription-only medication should also be excluded from this recommendation, because there is no research confirming the safety of taking drugs at irregular intervals. Having said that, there is research showing that taking certain prescription drugs irregularly may be of benefit. Nevertheless, the safety issue remains open at present. To see the full ingredients in this product, and its "approved" uses/ dosages, as well as potential side effects and contraindications please click here. 1. John, a 40 year old man, takes one multivitamin tablet, selenium, co-enzyme Q10 and carnosine, once every morning, a total of four different tablets. Instead of taking these at a set time, once a day, every day, he may be better off taking his supplements irregularly: two vitamin tablets at 10 am, followed by carnosine and Q10 at 11 am, and then his selenium tablet in the afternoon. The following day, omit the vitamin tablet, take three carnosine at lunchtime and two Q10 with selenium in the evening. The following day take one of each in the morning. And so on, following an ever-changing, apparently complex and irregular regime. 2. A menopausal 54 year-old woman has been on Esnatri (triple oestrogen bio-identical replacement), thyroxin, insulin and DHEA for six months. In this case, the suggestion could be to take her thyroxin and insulin regularly as advised by her physician (pending further research to evaluate the safety of taking these irregularly). But use her DHEA irregularly, twice on one day, none the second and so on. Hormonal Replacement Therapy with Esnatri is a more difficult area to advise as this may be better used regularly. We still need research confirming that irregular use of bio-identical oestrogens has no additional adverse effects. Strong medication prescribed by a physician may have a defined half-life (the amount of drug that remains in your bloodstream over a certain period of time is set). This means that omitting one dose, or taking two tablets together or taking these at irregular intervals may cause an overload of the drug (or a dangerous deficiency) which could be harmful. The discussion in this article refers only to natural herbal nutrients or supplements (or to those derived from natural sources), pending further research. There is another reason why nutrients may work better if taken irregularly. The very fact that you take these at non-regular intervals places your body under a certain degree of stress or pressure. This stimulates your defence and your repairs mechanisms to try and repair the damage caused by this stress, and in doing so, any coincidental age related damage is also repaired. The process of repairs following mild damage is called ‘hormesis’, and it is a concept encountered in many biological systems. Hormesis is when a small amount of poison, a stressful stimulus, a challenge or other stimulation causes minute damage to your body which then stimulates your own repair processes. The concept of hormesis is part of chaos theory (or a consequence of it), because the process of stimulation causes your body to respond, by causing it to work over and above a baseline, in order to cope with the stimulation. This activates your biological mechanisms and thus introduces a certain degree of biological complexity in your system. The nutrient carnosine (which is an antioxidant, anti-glycator, metal chelator and apoptotic modulator –it regulates the rate of cell death). Resveratrol, from red wine, which protects the heart and circulation of the blood, is an antioxidant, reduces abnormal blood clotting, and modulates the action of genes that help promote healthy ageing. 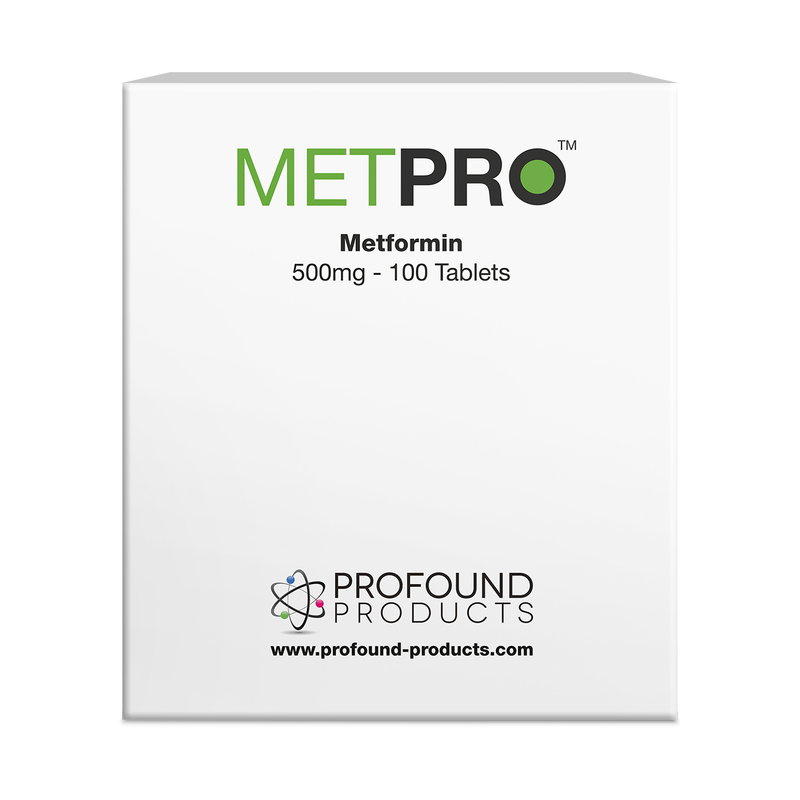 Metformin, currently used against diabetes and to promote insulin release, it also is an anti-glycator and a calorie restriction mimetic (it benefits biological aging through the same mechanisms as calorie restriction does). These and many other pluripotent agents work synergistically for a maximum benefit. They have inherent complexity in their actions and pass this complexity on to your own biological systems, improving your redundancy and biological reserves, alongside the lines of irregular supplementation mentioned above. Remember than anything that can boost your own biochemical complexity is likely to be beneficial against your rate of aging. The information presented here is intended to be a matter for debate, discussion and for the advancement of scientific interest. It is not intended to be prescriptive. If you wish to start taking, or stop using, any drugs or supplements you should only do so following the advice of a competent physician. Kyriazis M. Clinical anti-aging hormetic strategies. Rejuvenation Res. 2005 Summer;8(2):96-100. Rattan SI, Gonzalez-Dosal R, Nielsen ER, Kraft DC, Weibel J, Kahns S. Slowing down aging from within: mechanistic aspects of anti-aging hormetic effects of mild heat stress on human cells. Acta Biochim Pol. 2004;51(2):481-92. Masoro EJ. The role of hormesis in life extension by dietary restriction. Interdiscip Top Gerontol. 2007;35:1-17.